The 20 fields on this tab represent the labels that will appear on the Design Notes form you will see later. 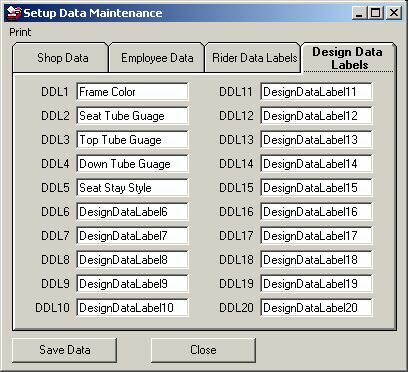 Use these labels to customize the program and store additional information about individual designs. Some of the things that you may want to track may include tubing wall thickness, components or color choices.